On December 8-11, 2007 a series of severe winter storms pummeled the United States, especially Oklahoma. On the morning of December 11, residents were awakened to the sounds of large tree limbs cracking and falling to the earth. Freezing rain, snow, wind and ice again devastated thousands of trees and cut power lines. Because the devastation was so widespread and crews were hard-pressed to address all the needs quickly, many people were without power for up to three weeks. 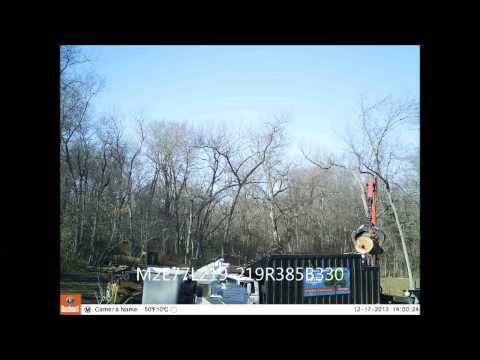 Tulsa lost an exorbitant number of trees. Our trucks, trailers and crew are equipped to handle large amounts of debris and to quickly remove storm damaged trees and trees toppled by wind, ice, and other natural disasters and weather conditions. We know how to react to ice and snow storm damage. With proper cabling, bracing, pruning and maintenance, we can help you prepare your trees before the storms hit…and we’ll be there to assist should they suffer any damage. 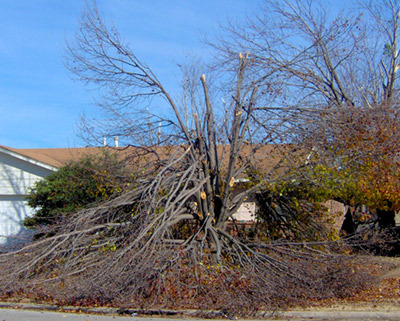 Midwest winters & spring storms can be exceptionally hard on trees, so let Rickert Landscaping and Tree Service help in preparing and stabilizing your trees with proper cabling, bracing, pruning and general maintenance before the storms hit…and we’ll be there to assist you if they should suffer storm damage. 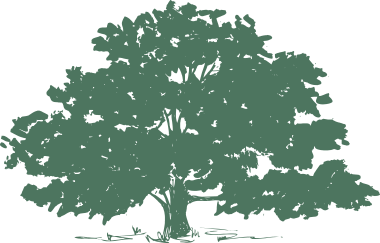 Rickert Tree Services are well acquainted with insurance practices & procedures, so we are more than ready to help you with your insurance claim. We can either directly bill your insurance company or you can delay payment until after receiving your insurance check.